Posted on March 21, 2019, by icahduk & filed under Jeff Halper, Latest News, News. 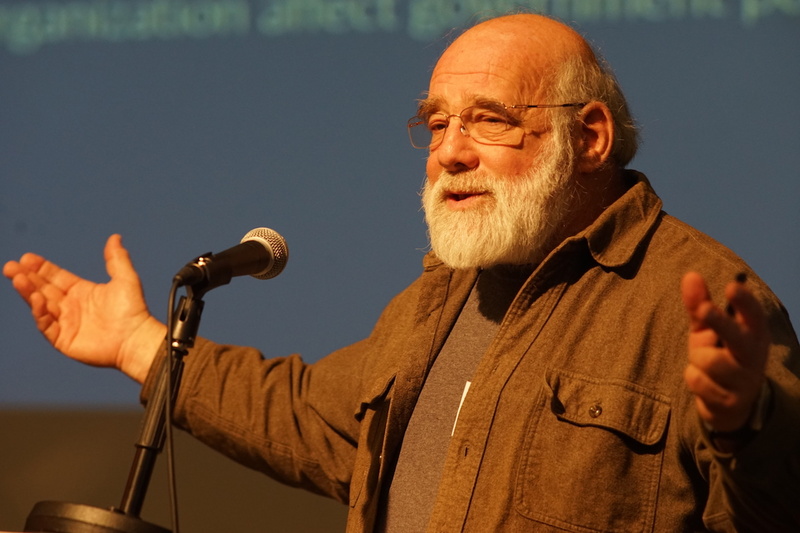 Following on from last year’s two highly successful speaking tours, ICAHD founder Jeff Halper will again be embarking on an UK speaking tour around this year’s Annual Conference in May. This year, Jeff will be accompanied by Hisham Sharabati, an activist from the West Bank and co-founder of the non-violent resistance group the Hebron Defense Committee. Jeff will speak on ‘One Democratic State in Palestine Israel - Its Time’, arguing that the Matrix of Control which Israel has laid over the Occupied Territory has effectively eliminated the two-state solution to the Israeli-Palestinian “conflict” and has produced instead a regime of apartheid. Faced with apartheid and the permanent warehousing of the Palestinians, the presentation goes on to outline the only just solution that Israel has left us with: a single constitutional democracy: one country, one citizenship, one parliament and one shared civil society in which its people’s collective rights are also protected. How such a solution would work and what we need to do to reach it is explored in depth. Hisham will draw on his experiences on the West Bank to speak on ‘Hebron, a microcosm of the occupation’. Wednesday 8 May – Nottingham (hosted by Nottingham Palestine Solidarity Campaign). Thursday 9 May – Northampton (hosted by Northampton Palestine Solidarity Campaign. Sunday 12 May – Lewes (hosted by Brighton and Hove Palestine Solidarity Campaigh.